‘World First’ a brand new story from Alexander McCall Smith that is now available in paperback! A world first from Itchy Coo, this is a brand new book for younger readers, telling the story of the girlhood adventures of Precious Ramotswe, founder of the No. 1 Ladies’ Detective Agency. Written by one of the world’s favourite authors, Alexander McCall Smith, and translated into Scots by award winning author, James Robertson, this story will not be available in any other language until 2011. The Scots is simple and accessible, and a glossary will be provided for those not familiar with Scots words. 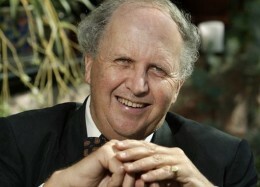 Alexander McCall Smith was born in Zimbabwe and educated there and in Scotland. He has written over 60 books for children and adults, including the hugely successful No. 1 Ladies’ Detective Agency series. 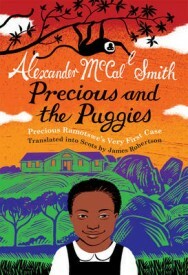 He has an interest in languages and in the protection and development of those under threat, and it is for this reason that he has generously allowed the story of Precious Ramotswe’s earliest cases to be translated into Scots, the language of Lowland Scotland, and for it to be published in this form before it appears in any other language. As the leading producer of books in Scots written for children and young people, Itchy Coo is proud to be the publisher of this unique book. James Robertson is a co-founder of Itchy Coo. He writes books for both adults and children, in English and in Scots. 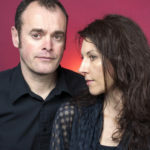 His novel The Testament of Gideon Mack was long-listed for the Man Booker Prize in 2006 and featured on the Richard and Judy Book Club in 2007. For Itchy Coo he has translated Roald Dahl’s The Fantastic Mr Fox and A.A. Milne’s Winnie-the-Pooh into Scots.